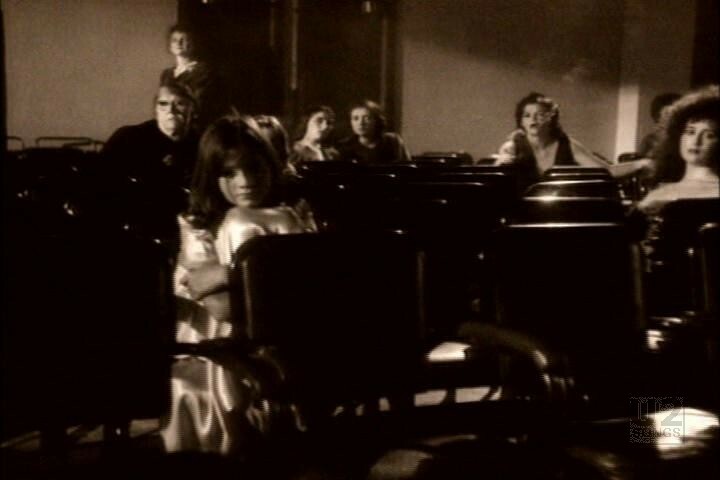 Film director Donald Cammell was approached to do the video for “Pride (In the Name of Love)”. Cammell turned in two versions of the same video, one in full colour and one tinted sepia in colour. This is the version in sepia. Cammell as a film director is perhaps best known for “The Wild Side” starring Christopher Walken and Anne Heche. This was the first time that U2 worked with a director other than Meiert Avis who had directed all of U2’s videos to that point including “Gloria”, “New Year’s Day” and “A Celebration”. 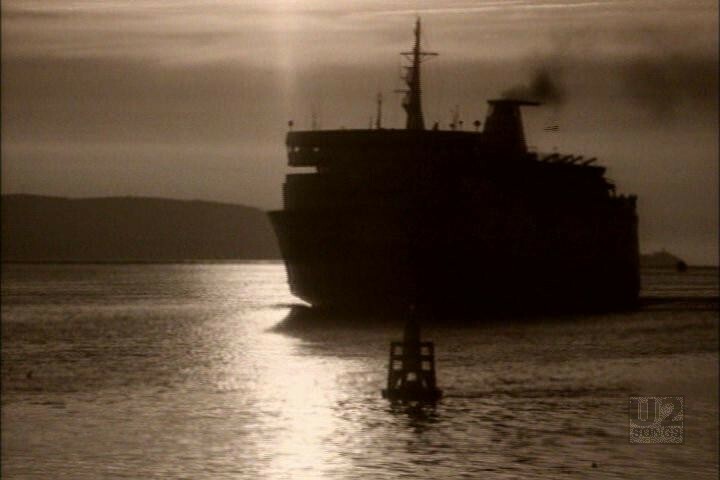 This video was the only time that U2 would work with Cammell. The video was filmed in August 1984, and debuted on MTV in September 1985. The video opens with atmospheric noises of gulls, and the horn of a ferry entering the Dublin dock areas. We then get a close up of Dublin’s Poolbeg towers, two industrial stacks that can be seen from the docklands. The song kicks in about fifteen seconds into the video with a camera panning over the water, and familiar Dublin sites such as the East Link bridge open. The Edge is the first member of U2 seen, walking near the East Link bridge, and then we see two boys walking around the docks. 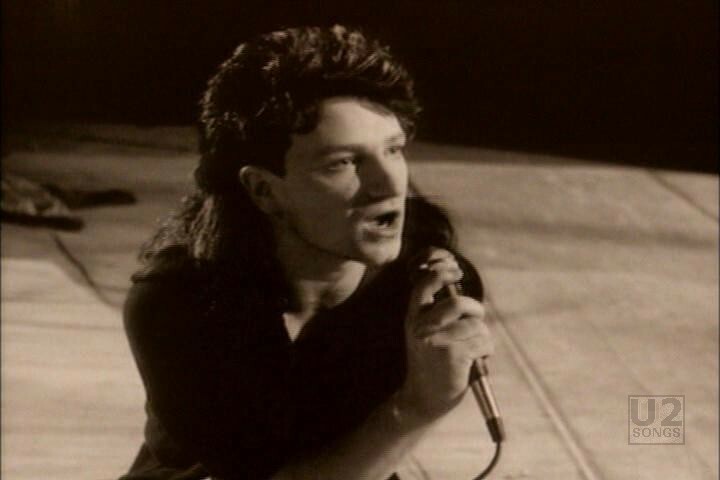 Bono is the next member of U2 seen, in an empty hall, fiddling with a microphone, and then we see the entire band on the same stage performing the song. The band performs in a circle and Bono’s back is to where the crowd would sit. 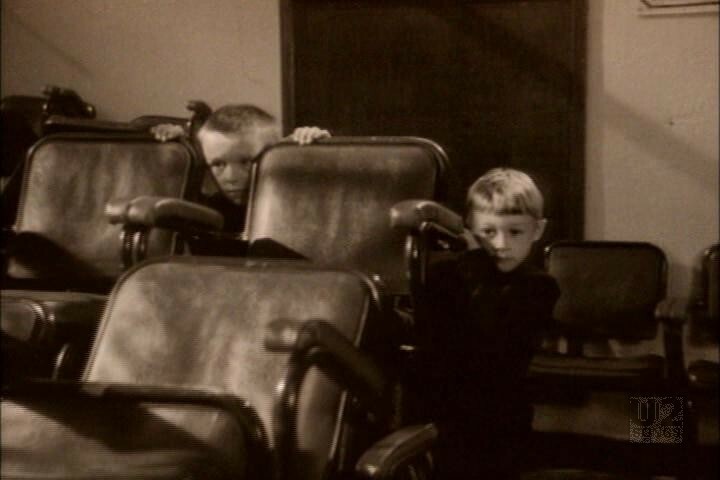 The two boys from the dockyards earlier, can be seen in the hall hiding behind seats. Bono turns around and leaves the stage in a dramatic jump and we then see the seats are now filled with children, and continues to fill up with adults arriving as well. 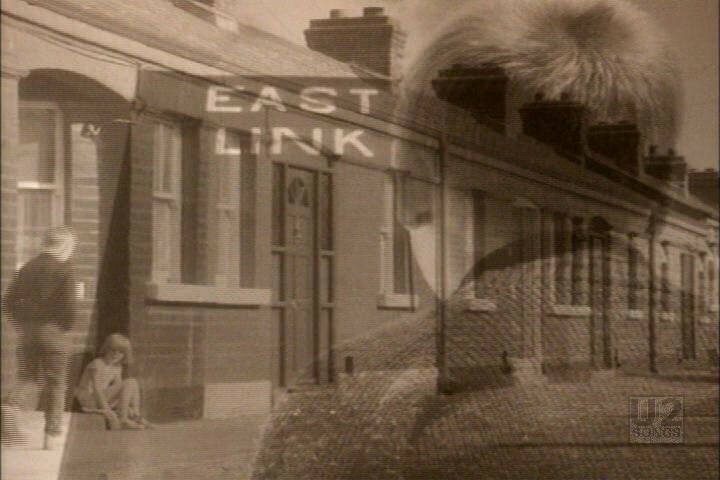 The final shots are of a young boy looking up at the East Link bridge, and then the camera pans out over the water until it passes the Poolbeg towers, and the ferry again. The interior shots were filled at the St. Francis Xavier Hall (or SFX Centre) on the North side of the Liffey. The band were concerned about the final video. 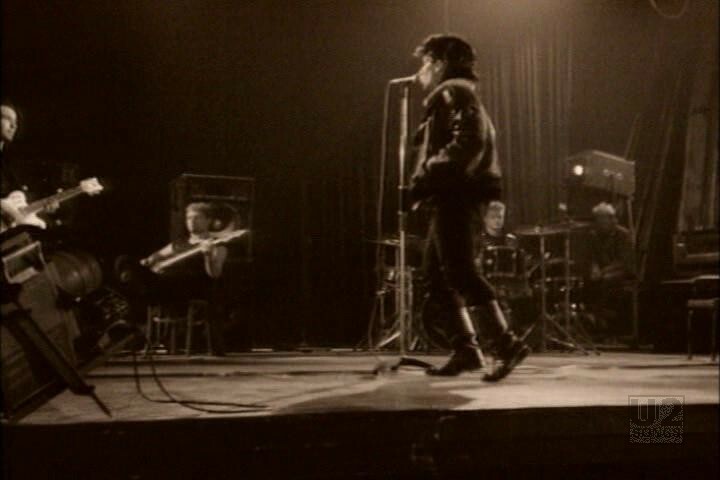 They were worried that it was too cinematic, and that it didn’t have enough street vibe, so they filmed an additional video with Anton Corbijn that all involved agreed was less than successful, so the Cammell version was used for primary promotion of the song. One of the boys in the video, Noel Wardell, remembered the video shoot as being cold, and that the outside shots in Dublin were all done in the early morning. He was paid for three days of shooting which covered the theatre shots, as well as the shots outside in the docklands area. The other boy featured prominently was Wardell’s cousin. It should be noted that Wardell remembers that the video was filmed in early October. 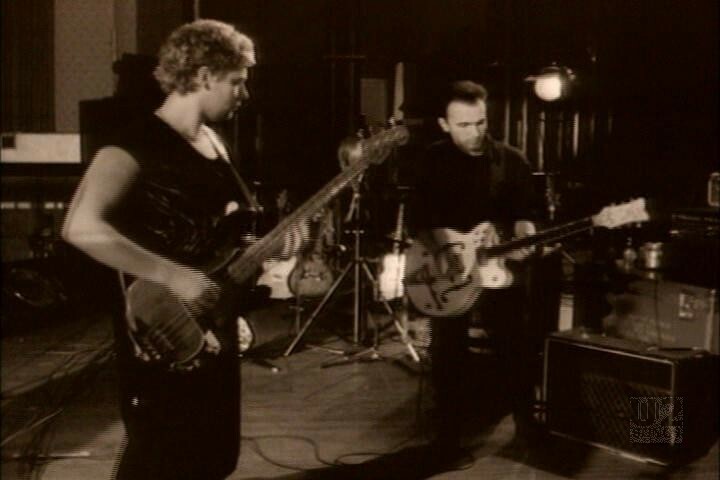 Corbijn claims the shoot he did was the eve before the band left for the Australian tour, so if the Cammell video was done first, it had to have been done in August. "U2 - “Pride (In the Name of Love)” Single"
"U2 - “Pride (In the Name of Love)” Promotional Release"